June marked the 10th anniversary of my ordination as a deacon for the Archdiocese of Los Angeles. The Sacrament of Holy Orders is passed on in direct line, from the Twelve Apostles, according to ancient Christian belief. It was only after the Council of Trent (1545-1563) that certain sacramental records were ordered to be maintained. Genealogists reap the benefits of records being maintained from that time for baptisms, marriages and funerals, for example. Ordination is also a sacrament, and after Trent records were kept of all those who were ordained bishop, priest or deacon. Of especial interest is the episcopal lineage, a sort of church genealogy that traces one’s ordination back in time through the laying on of hands. When I was ordained on June 11, 2004, Cardinal Roger Mahony, archbishop of Los Angeles, laid his hands on me and thereby conferred on me the Sacrament of Holy Orders through an unbroken line. 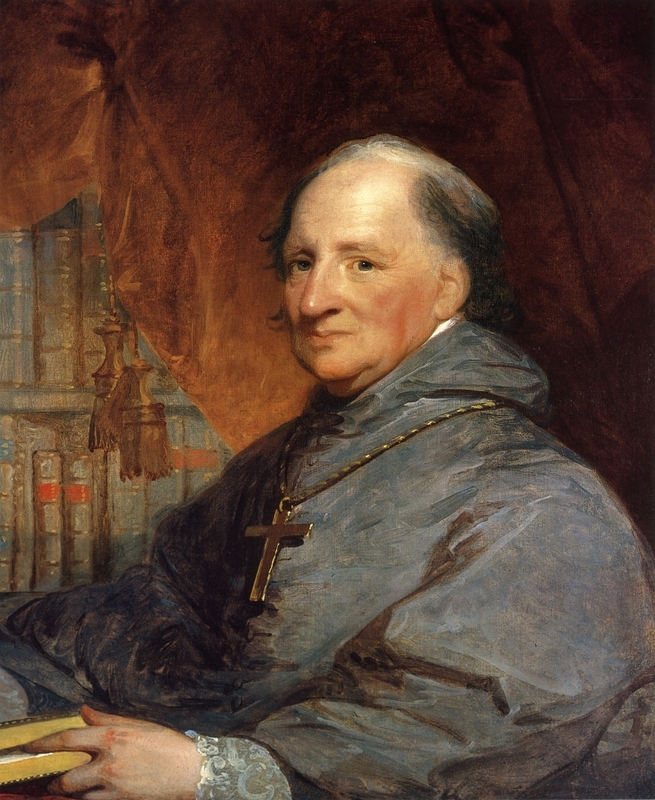 While the line goes back for quite a while, I present here my sacramental descent from Archbishop John Carroll, head of the Jesuit mission to the United States, first Roman Catholic bishop of the United States, who became bishop of Baltimore in 1790 (and was subsequently archbishop), the first American diocese, founder of Georgetown University, and builder of the first Catholic cathedral in the United States. Lineage as documented on Catholic Hierarchy. Position shown here is the episcopal appointment at the time they were ordained bishop; the auxiliaries of New York went on to become archbishops of New York as did Corrigan, Mitty became archbishop of San Francisco, Donohoe became bishop of Fresno, Mahony archbishop of Los Angeles.